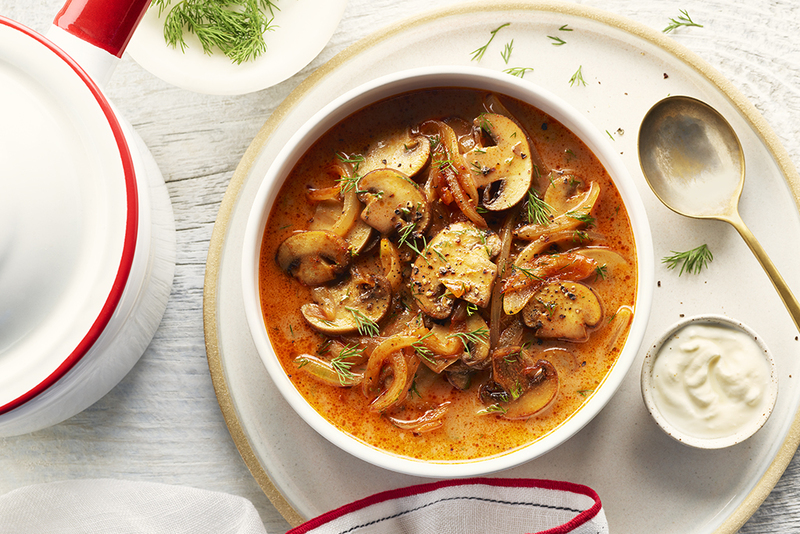 This mushroom soup with fresh dill is creamy, with hints of smokiness and a great umami flavor. It’s the perfect bowl of soup to warm up with in the colder months! In a large soup pot or Dutch oven melt butter over medium-high heat. Add onions and mushrooms and sauté for 6-8 minutes until they become soft and golden. Add flour and cook, stirring constantly, for an additional minute. 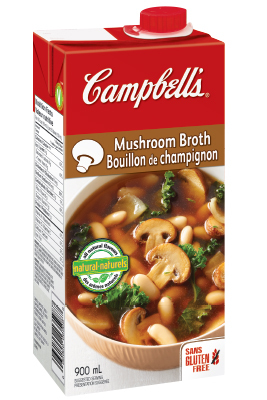 Add Campbells Mushroom Broth, dill and paprika. Reduce heat to medium-low and simmer for 10-15 minutes. Whisk in sour cream. Season with salt and pepper if desired. Enjoy! Top with a dollop of room temperature sour cream and fresh dill!